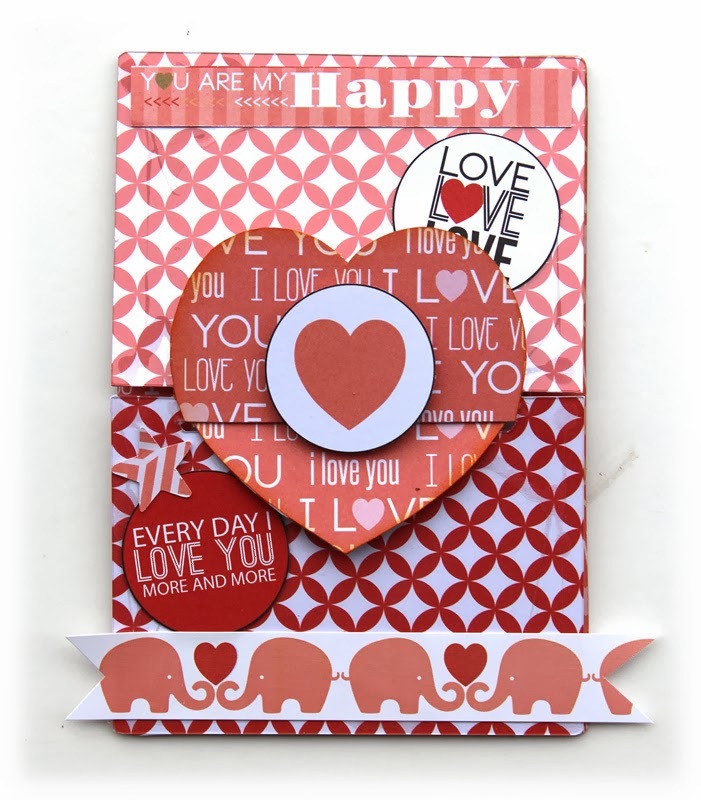 Creating Made Easy kit for February features Teresa Collins gorgeous paper line You are my happy! The kit club is pocket book friendly and jam packed with loveliness! I'm up on the CME (Creating Made Easy) blog today if you wanted to pop over..
Doug and I have been married 12 years come March 30th, and together 19 years come November. In our 19 years together, we have become best friends. I have heard people say nothing ruins a marriage as quick as you telling your significant other all your dirty little secrets. I say I think we're doing just fine as BFF's and I wouldn't have it any other way! With those years also come little bumps in the road... sometimes we aren't as tuned in and focused on our marriage as we should, and we start to bicker more and pull away from each other. It's in one of those mad moments that we usually realize how silly we are being, and we take a few moments for us as a couple and reconnect. I love this man with every fiber of my soul and I know he knows this... I just hope one day when he looks back at this, the feelings of my love rush back to him and he FEELS it too! Right now.. all he sees is a goofy expression on his face and awww with the XOXO & hearts. I'm saying all this because I'm feeling the love for my honey, and I want to share it with the world. 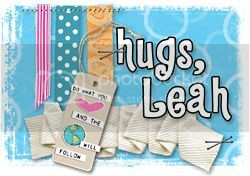 I love the send it clear cards.. the heart is one of my favorites!! 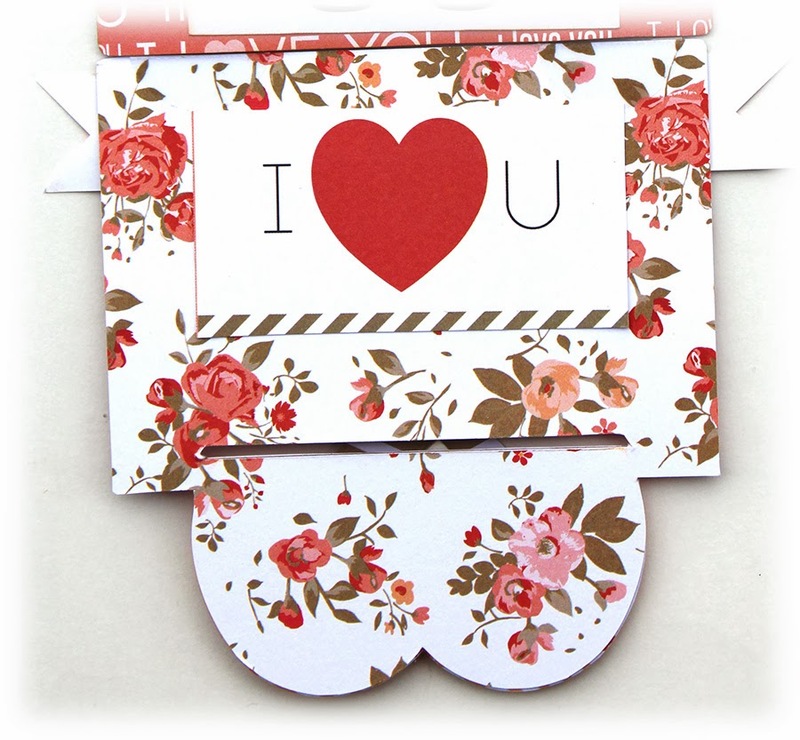 Chock full of I love you's and hearts.. it's right up my alley!! To see more projects with this fabulous kit, check out the CME Blog here. We have posts daily through the 15th every month! 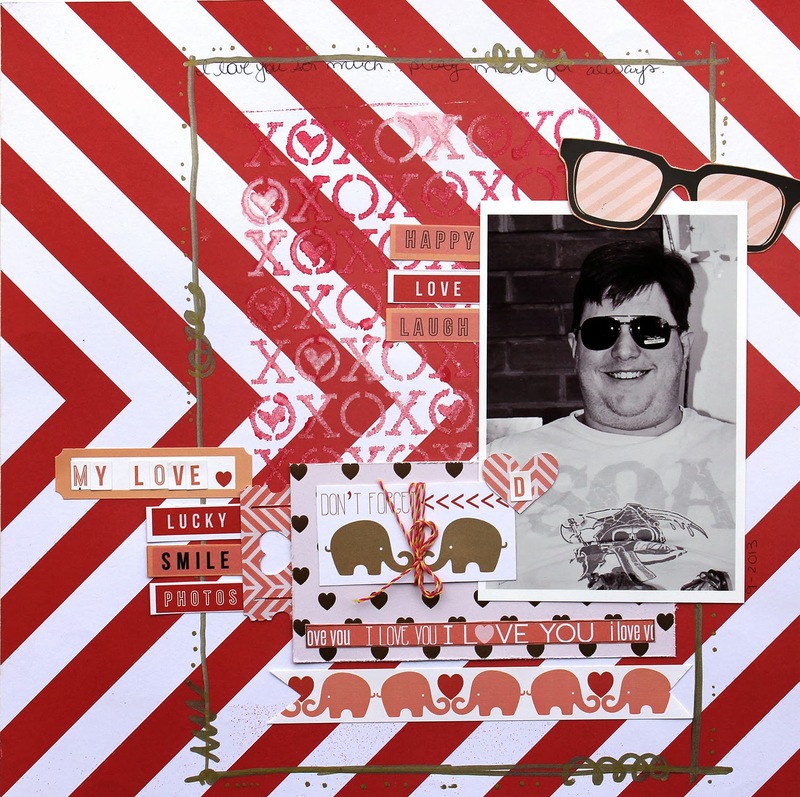 Beautiful layout, cards and projects!! You totally rocked this kit!!! 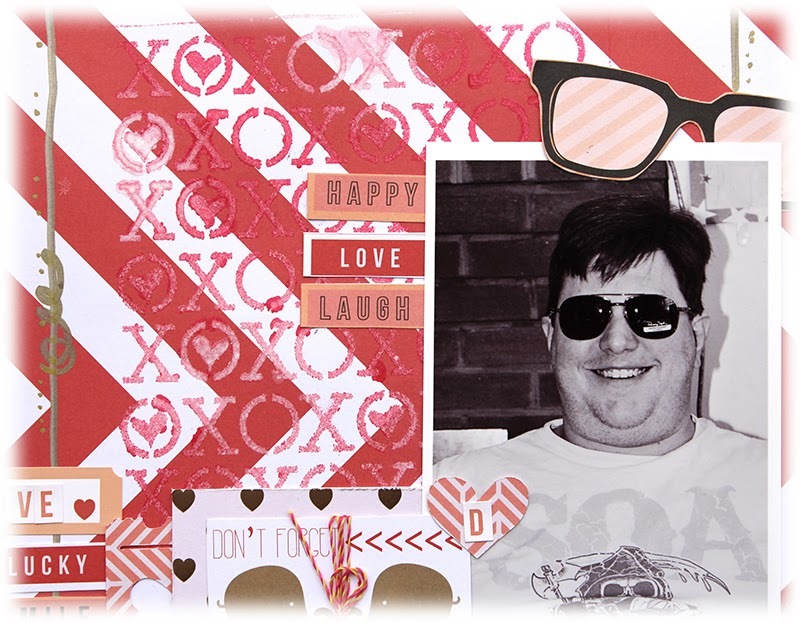 Love your layout and cards. Very festive!! These are gorgeous!! 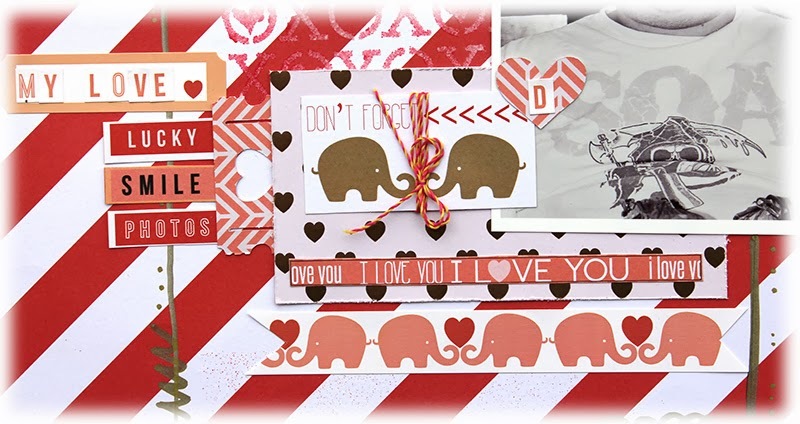 I loveeeeeee the elephants and the "xoxo's"! !